Valencia is Spain's third largest city after Madrid and Barcelona. Valencia has one of the biggest ports in the Mediterranean region, and handles around 20 percent of all Spanish export! But above all, this city is filled with culture such as film, music, and theatre. A real eye-catcher is the “Çiutat de les Arts i les Ciències” (City of Arts and Science), where you can find yourself in the middle of futuristic white buildings and clear blue fountains. Enjoy the smell or orange blossom, try paella at the beach, and become immersed in the Spanish language and culture. 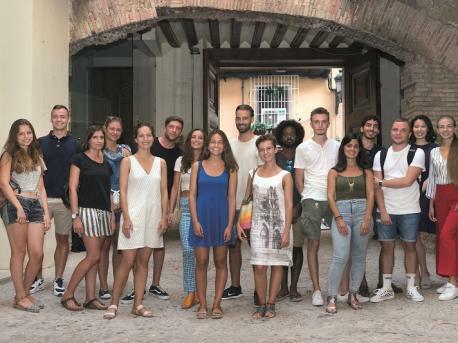 Our partner school in Valencia offers Spanish courses for both juniors and adults, even enabling families to travel together and spend their holiday learning Spanish! 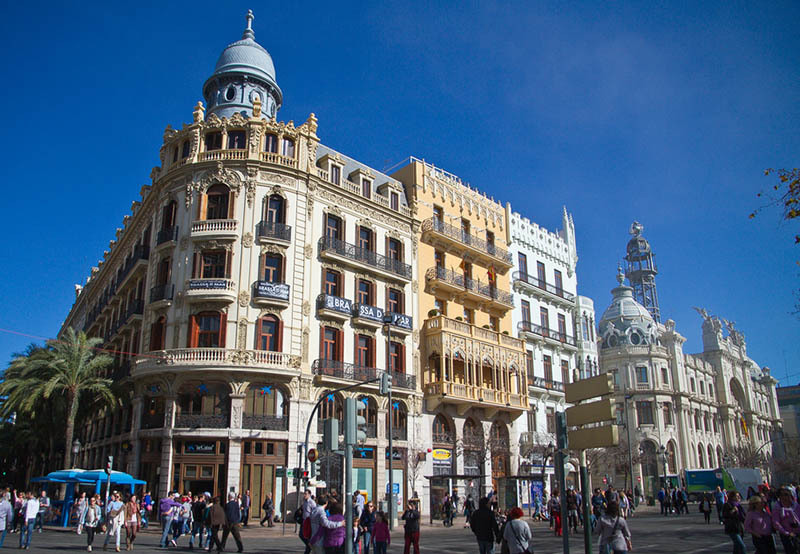 Our partner school Españolé is set in two unique buildings in the heart of the city centre of Valencia, close to by many shops, historical sites and the energetic Spanish city life. One of the buildings is a big chalet with 12 modern classrooms fully equipped with interactive whiteboards, a workshop classroom with facilities for “Spanish cooking activities”, a common area with computers and WIFI, vending machines, a relaxing reading room with books and magazines, a terrace and a welcoming patio area with a small pond. The other building is a four story traditional building with 10 fully equipped and air conditioned classrooms with interactive whiteboards, a library, a common area for students with computers, WIFI, vending machines and a roof terrace.